This mid-century modern upholstered dining chair has refined yet easy-going style, making it perfect for either casual or formal settings. The seat and backrest of the stool are upholstered in a light grey fabric while the frame showcases a rich brown finish. A single button tuft accents the backrest. 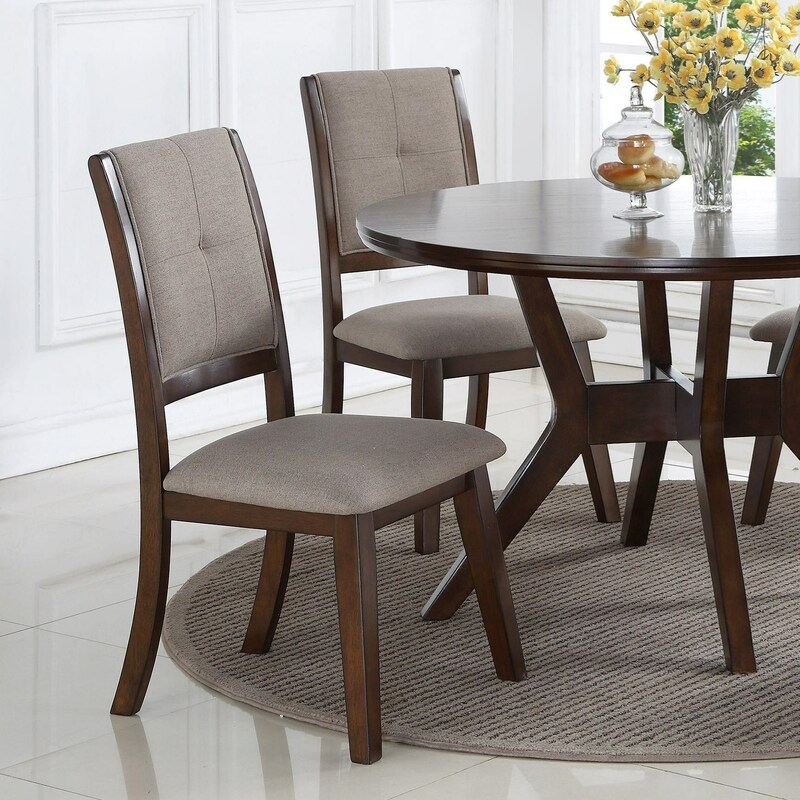 Pair the table from this collection for a vintage-inspired dining room collection. The Barney Upholstered Dining Chair by Crown Mark at Household Furniture in the El Paso & Horizon City, TX area. Product availability may vary. Contact us for the most current availability on this product.